Lock in a great price for Margaret River Hotel – rated 8.1 by recent guests! An ageing hotel , currently up for sale , needs some TLC , but awesome location , no car needed & large & comfortable roomy units . The room is spacious, has a kitchenette and has a separate restroom and shower area. The rooms were dated but still clean and comfortable. It was my second stay at this place. Great location, very clean. Location was excellent. Staff all terrific to talk and deal with. It's an historic old pub - great place to meet locals and enjoy the night. The room was perfect. A kitchenette included which we didn't expect. Really spacious and comfortable. We have already booked again for June. Located in the center of town, Margaret River Hotel offers comfortable 3-star accommodations. The property offers a convenient base from which to explore the Margaret river region. It is a 10-minute drive from Margaret River’s famous vineyards and wineries. The in-house bistro offers an a la carte menu, focusing on traditional favorites and seasonal specials including a large range of gourmet wood-fired pizzas. All rooms feature private bathroom, tea/coffee making facilities, telephone and TV. The economy rooms are located above the hotel's bar and restaurant. The country-style suites are located at the quieter end of the hotel. Margaret River Hotel is 4 hours’ drive from Perth. This is our guests' favorite part of Margaret River, according to independent reviews. 뀐 Located in the top-rated area in Margaret River Town, this property has an excellent location score of 9.1! When would you like to stay at Margaret River Hotel? This spacious suite is located towards the quiet end of the hotel. It features a TV, a refrigerator and a private bathroom. This spacious open-plan suite features a TV, a refrigerator and a private private bathroom. This double room features air conditioning and seating area. This twin room has a seating area and air conditioning. This triple room features air conditioning and seating area. This room includes an en-suite, TV and tea/coffee making facilities. This family room has a electric kettle and balcony. House Rules Margaret River Hotel takes special requests – add in the next step! Margaret River Hotel accepts these cards and reserves the right to temporarily hold an amount prior to arrival. The dinner menu didn't attract us. The premises was dated and our motel rooms were tacked on to the site of a classic old style building. in the morning I had to walk a long way in the rain to return the key [return was mandated by a notice on the key tag]. The reason for this was that the door at the back of the hotel which might have given direct access for motel guests was firmly locked. It is misleading to caption the motel room we had as "The Margaret River Hotel". I like old country hotels with atmosphere but the motel room was rather dreary and bore little connection to the hotel. The shower was barely satisfactory. Friendly service, good location, room generally fine for the money. Property did not provide toiletries like soap, shampoo. Anyway since woolworths is just across, its easy. 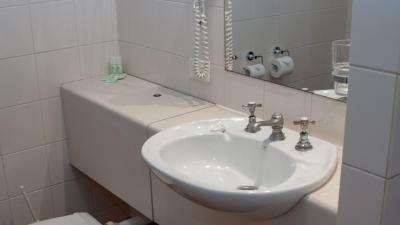 Some amenities is too old such as hot & cold bath system and hair dryer is too low tech. Hotel is in best location in Margaret River in town. It easy to walk around looking for convenience store, bar and restaurant Room look old but classic and clean, all facilities needed are ok. Car park is enough for driving traveler. Pillows uncomfortable, very disapointing selection of complimentary toiletries. Shower had an overbearing smell of chlorine/bleach. Faulty powerpoint, didnt work and made crackling sounds. Customer service was great, really friendly and welcoming. Place was clean, nice and quiet. Great placement on the main strip, nightlife seemed awesome too. we didnt have breakfast as was leaving early , but dinner was nice. thought the room was too small, no little table or chair to sit in and had to plug kettle in bathroom. Walls were a bit thin so could hear next door. Got a free up grade to the King size room, very clean and provided everything needed. The hotel itself was done up nicely, good atmosphere and the meal were great. Central walking location in the main stree. Definitely recommend to anyone. They wasn't anything not to like. It suited my purpose for the stay. Room was clean. Bathroom and shower were big. Shower has hot! Bed was very comfortable. The staff we great, I got in late and they had it all organised for me. Couldn't fault the place or any of the staff. Noise from adjoining room between 2.30 to 4.00am. Reported to admin. Great food. Great service. Great location.